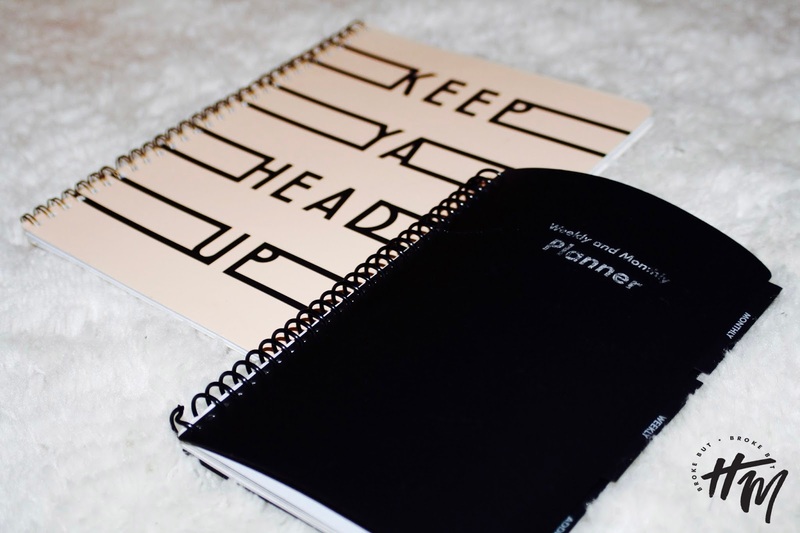 Budgeting + organizing are vital to a broke girl`s survival. In between being a responsible adult with our finances, we like to spend our money on things that make us happy: make-up, traveling, clothes, etc. It is our personal right to find happiness within the struggle. I am able to splurge on certain things thanks to a budget I created for myself, keeping track of my finances and let`s not forget... good credit. Never let your salary limit you; it is truly about how you manage your finances and build your credit. There are various ways to save, based upon personal preferences. Organization plays a significant role in budgeting. Manage your due dates and the amounts due by documenting them on a calendar. I use a blank weekly/monthly agenda purchased at Wal-Mart for about $2, which is extremely convenient. There`s a few pages of empty monthly calendars, spaces for notes and unmarked weeks/months (which is what 'blank' means) so that you can start at the date of your preference. It`s compact, so it fits in most small spaces. I carry mine everyday and you can tell by how faded it is in the photo above, lol! I document everything from what I did that day, to my last checked credit score and even jobs I have applied to. It really helps you keep track of everything you`ve done and the goals you set for yourself. Marking your due dates & amounts due allow you to visualize & calculate your monthly total money spent, in addition to helping you decide how to breakdown your payments. For instance, I pay the bills due between the 1st & 15th with my first check and then decide if I want to save 30% of my remaining check or a particular amount based upon what is left. I repeat this process for the bills due the next two weeks. It doesn`t matter how much you`re saving. Just make sure you`re saving something because it adds up! Set budget goals. If you want to buy something, make sure you`ve saved up enough for that item in addition to money to save or pay a bill. You always want to have extra, not less. As broke girls, we HAVE to make smarter financial decisions. / Subscribe to the shopping outlets you frequent often to receive information regarding sales & promotional events. Just signing up gets you a percentage off for most sites! / Subscribe to shopping sites that update you on sample sales. If you are not familiar with samples sales, you have been missing out! / Everything does not have to be designer in order for you to be stylish. Fast fashion retailers (Forever 21, H&M, Zara) have plenty of quality pieces that, when styled right, can look pretty damn high fashion. / Do not buy all at once. Pace yourself. Set a goal of how many items you`d like to buy in a certain amount of time. For example, 1 designer/quality garment every month. / Work in retail! Somewhere you like to shop, so you can enjoy the discount. Lol.